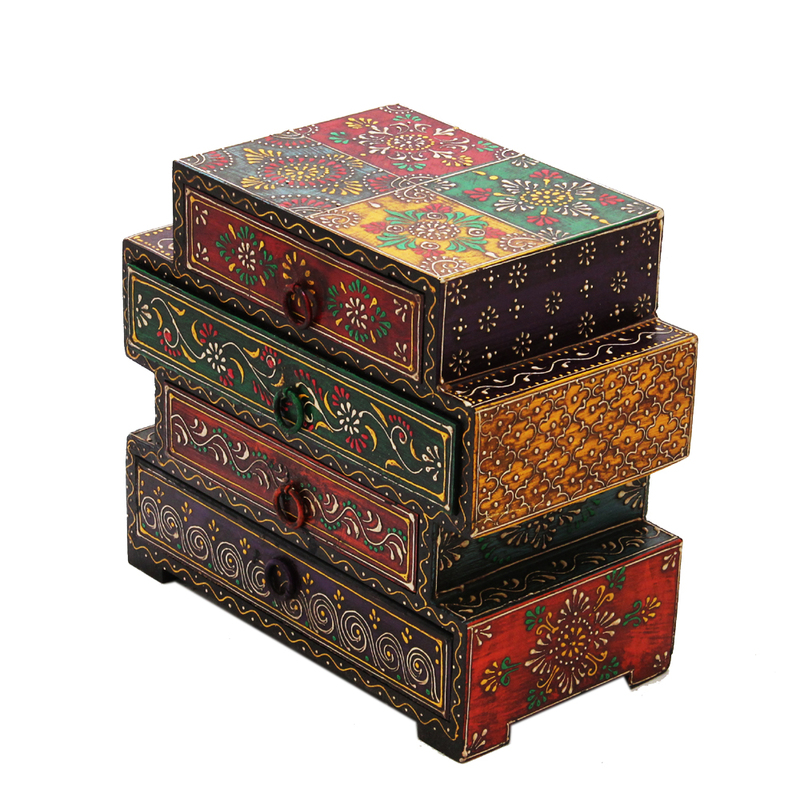 The Wooden Embossed Multicolor Four Drawers Box is ideal for adding to the décor of any room because of the grace it provides to the Read More..space it occupies. 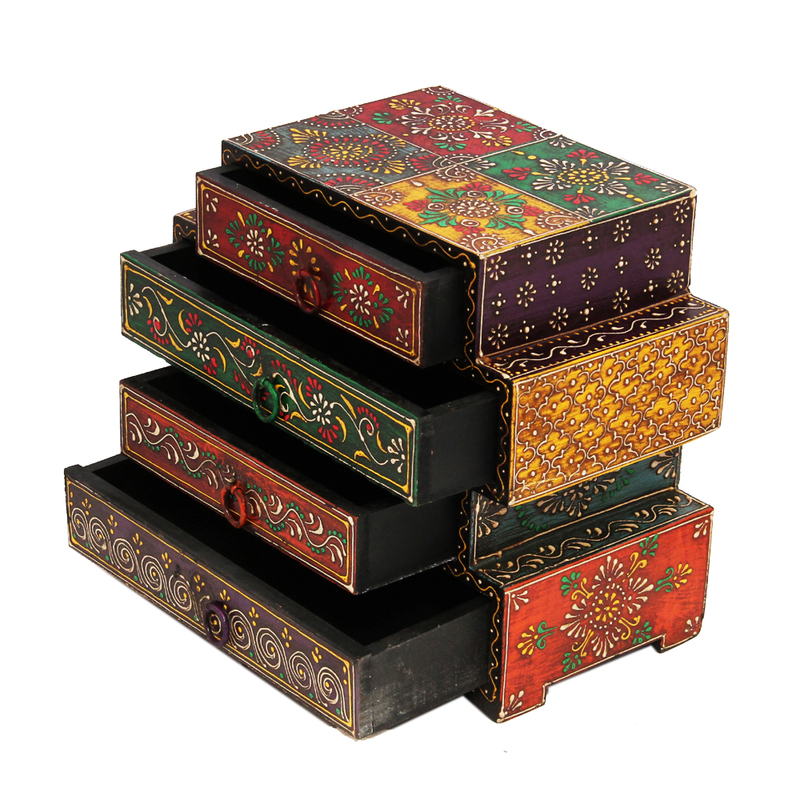 The quality of the wood used in its making is top quality, and the embossing adds to its visual appeal. 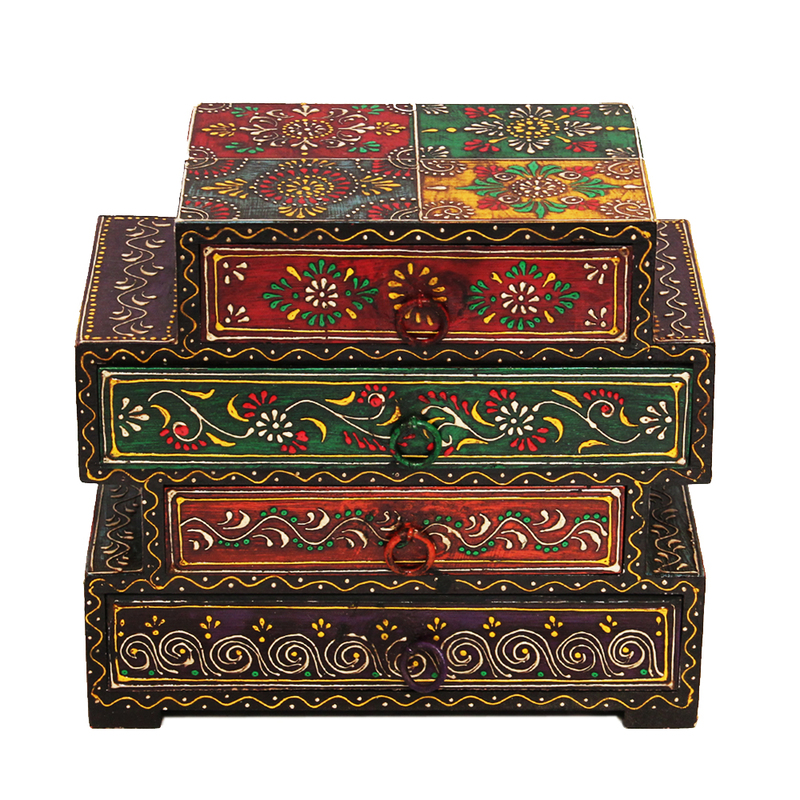 The intricate patterns present throughout it makes this box he perfect choice for keeping all the fineries in the household. This box is also ideal for gifting to others on any occasion. Show Less..